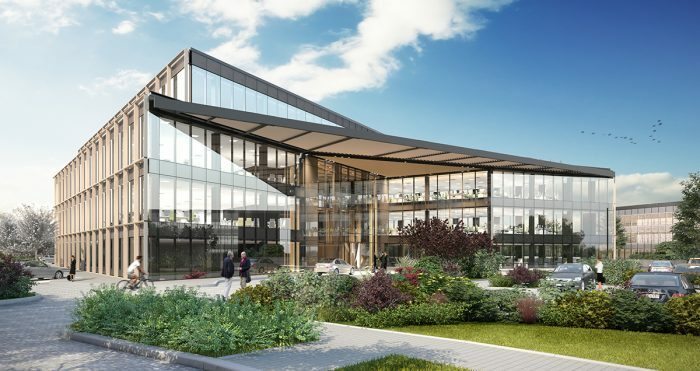 Barnwood Construction is preparing to start construction of Plot 12, our £13 million new state of the art office building near to the Sadler Building. As you may have noticed Barnwood has been busy erecting hoarding around the site and preparing their site compound area in readiness for a full start on site imminently. Minimising any disruption from the construction works is paramount to the Park. As such all construction traffic will be using a haul road directly off Grenoble Road, negating the need to bring any traffic through the Park’s roads. Loading and offloading will also be done to the rear of Plot 12, minimising the associated noise for adjacent buildings. Keeping communication open during construction will be important for all concerned. All future construction progress will be published here on Park Life. Your patience whilst the works are proceeding is appreciated.